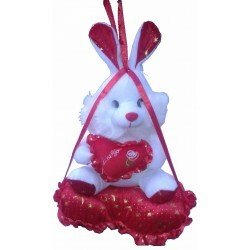 Hanging teddy is a beautiful and a perfect gift for your very speacials who are the reason for loveliness in your life. For further details please call +91 9654 66 3355. You can also send us an email at giftcreation@giftjaipur.com.